Hey gang, Valkor here. This round in GameView, we switch gears from busting up zombies, to popping Russians and other critters that go "bump, crash, bang, boom" in the night. 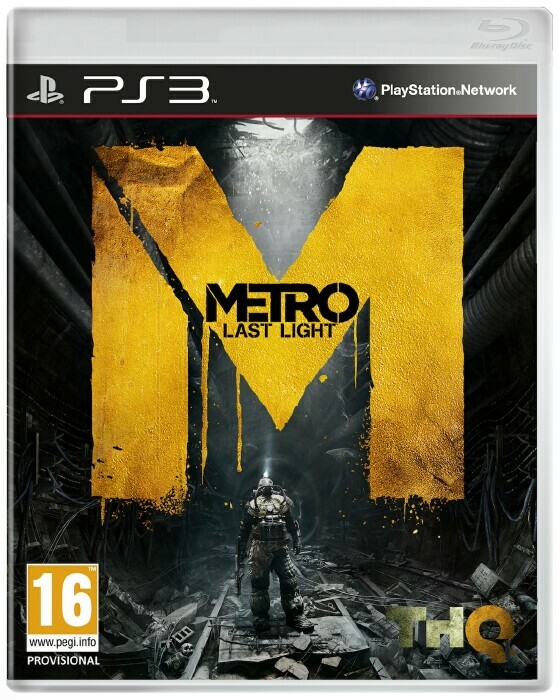 Thanks to the gang at Deep Silver and developers 4A Games, we get the chance to play with their latest shooter "Metro: Last Light", which is based on a series of books written by Dmitry Glukhovsky, who also helped with the development of this and the prior title "Metro 2033". This should be interesting. 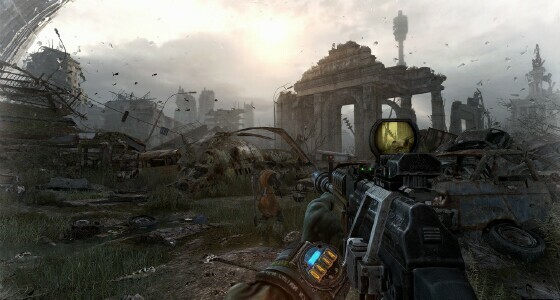 Metro: Last Light, is a first-person shooter set in a post-apocalyptic future; in this future things have gotten so bad that even mutated monsters make an appearance. And thanks to a nuclear holocaust, the air up above isn't safe to breathe, so the humans have escaped below to the underground metro system for sanctuary. In the game, you'll play as a Ranger named Artyom and you're given the task of finding and destroying a beast known as "The Dark One". 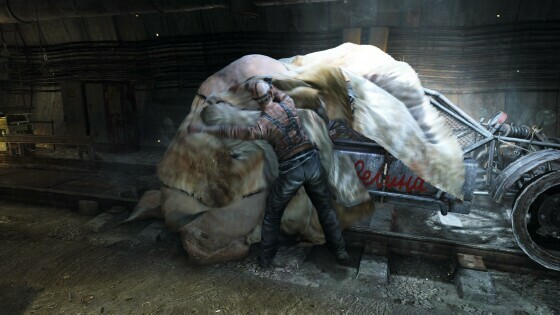 In doing so Artyom not only has this monster to contend with, but he also gets caught up in a struggle between rival factors; it's a mix between political struggle and survival horror. 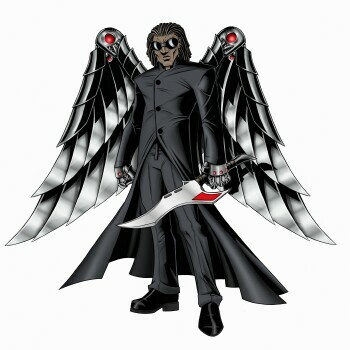 For the most part, you'll tackle missions alone and at other times you'll be joined by another. There are some side missions as well where you'll aid prisoners who are in desperate need of aid; in one scene you can hear a woman clearly about to be raped and the only way to find and save her is to follow her screams. It was very jarring, but also fulfilling when the task was completed. 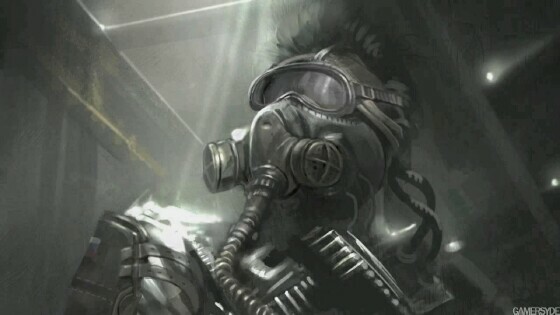 To face off against all this chaos, Artyom is given a slew of weapons and items to assist him in his journey; at the jump, you'll make use of a gas mask, lighter, night vision goggles, a compass, and flashlight. With weapons, you're allowed to carry only three at any given time and it's up to you which ones you'll carry. Weapons (along with ammo) can be purchased (using bullets as currency) at markets as well as found on fallen soldiers or hidden in chests and lockers. Weapons can also be customized with a variety of attachments (done at markets) to improve accuracy, stability, and strength. It's not on the same level as Dead Island: Riptide, where you create these insane weapons, but it's suitable for what you'll need it for. With weapons and items in tow, it's time to take on the baddies; with the monsters you can use whatever strategy you choose (I prefer the straight up approach), but with soldiers you can either use stealth or take them out directly. The stealth mode is unlike that of a Metal Gear game because you cannot hide in a box or crawl underneath structures; rather the darkness plays a huge part in the stealth as you'll dip and dive in the shadows to avoid the enemy soldiers. If they spot you or you get too close, they'll alert the others and more soldiers will follow – some heavily armored and others you can pick off with ease. 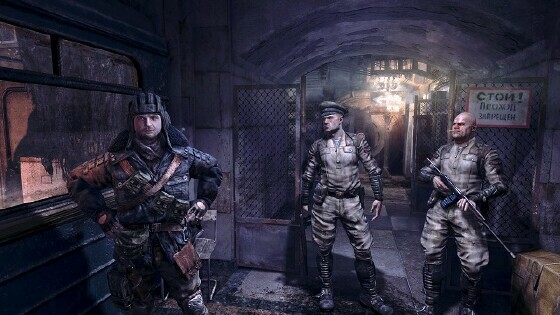 Metro: Last Light is a linear fps that reminds me so much like Enslaved in terms of how you're journey plays out; essentially it's like you're playing a movie – it's very cinematic in its structure and tone. However, the big question is: did I enjoy it? And to answer that we'll move into the TOV Breakdown. FYI, I really enjoyed Enslaved. Other than Dead Island: Riptide, which is more melee combat, it's been awhile since I've dipped into a first-person shooter (the last FPS I played was the first Battlefield… yea). 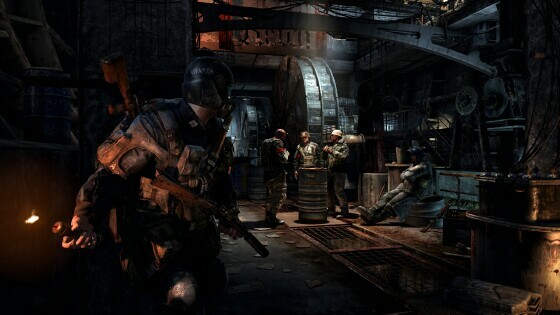 Metro: Last Light is the perfect blend of spot-on gameplay and an intense story. It's not a perfect shooter, but it's challenging and exciting. 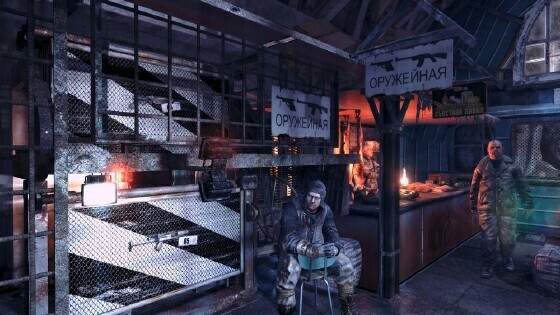 Following Artyom on his journey is quite an immersive experience and there's a lot to take in especially when you enter a station; the NPCs do their own thing and you can either listen to their conversation or move on. Thankfully the game doesn't penalize you should you choose to skip the talk and get back to action, but listening can be very informative. I also got a kick of the human enemies and how they react to your presence; I shot a guard in the face, right in front of his comrade, who slowly backed away before raising his weapons and seeking me out. In short the game feels alive - more so than I had expected and the attention to detail is pretty impressive. Since I've tested the PS3 version, I was skittish about using the controller (total mouse and keyboard guy here) and I learned that all my fears have been for naught as the controls were spot on. 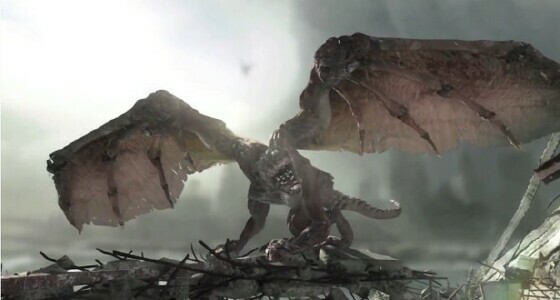 And before I knew it, I was popping off baddies and slaying monsters left and right. The voice acting is clear and the sound effects, especially when you're dealing with the dark areas are creepy and tense. Graphically, the backdrops are gorgeous and there's a lot to take in. The NPCs are nice to look at though lacking in facial emotion and the monsters are the nastiest I've ever seen. 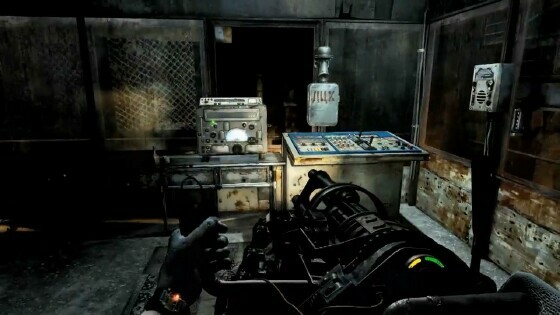 I've never tried the first game, Metro: 2033, but after this ride I think might like to try it out. The game is far from perfect though the negatives won't overshadow the positives. For one thing, as cool as the enemy AI is in reacting to a fallen soldier, they don't always react. And when they do, they fall into the same pattern that got their buddy put down. Case in point, I alerted a pair of soldiers, ran for cover in a nearby room and shot the first guy as he entered. The second guy yelled for help and then walked right into the very room where I just killed his buddy. DOH! He didn't even ease in or toss a grenade, he simply walked in and I shot him. And finally, the faces of the NPCs are sometimes as creepy, if not creepier than the monsters. They show no emotions and harkens to the days of early CGI. Those so called "giant shrimp". Ugh! Hey there's a lap dance scene in this game… and its very uhhh… in your face. I didn't expect it and I'm not even gonna complain about it. Needless to say, I spent many bullets getting my CG swerve on. 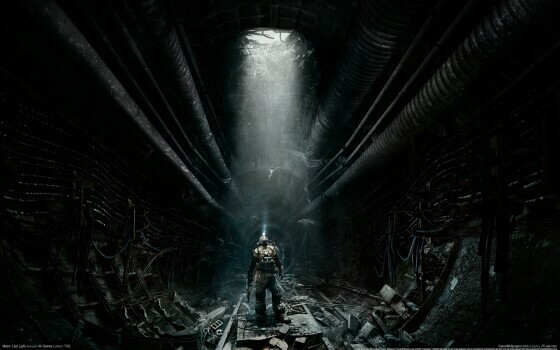 Metro: Last Light is available now for the Playstation 3, XBOX 360, and PC; it's a fun, immersive first-person shooter, that tells an amazing story, with solid controls, and even though it's short (you'll get roughly ten hours of play), it's still worth checking out. And out of TOV 5 stars, I'm giving Metro: Last Light a 3.5. Just above average, but still impressive.